The South Pole penguins are counting by tens. Can you tell which numbers are missing? Ten, twenty, thirty... 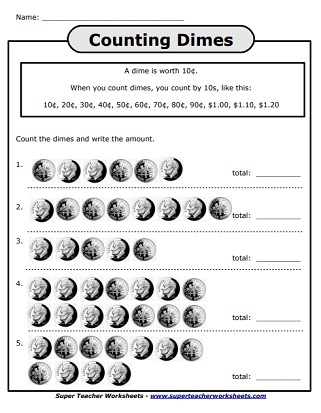 Practice counting by tens on this worksheet. Pictures of fishermen decorate this page. Use these graphical number lines to count by tens up to 180. Write numbers in the balloons to count by tens. Count from ten up to two hundred forty. Counting dimes is easy if you can skip count by tens. Dimes shown are American currency. Count by 10s and write the money amount shown. Dimes illustrated are American currency. Skip count by 10s and connect the dots. Make a picture of a porky pig. The seven word problems on this page review skip counting by 10s. Skip count by 10s starting at 10 and ending at 100 on this worksheet. Children will fill out the caterpillar as they skip count by 10s. Students color every tenth number on the hundreds chart. What pattern do you see? Here's the full index of skip counting worksheets. Practice counting by twos, fours, threes, and fives. 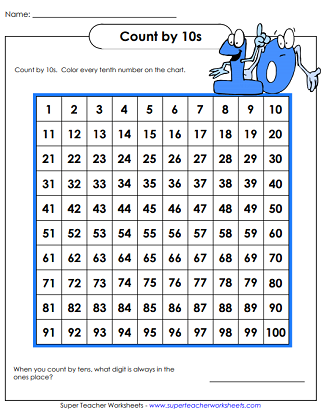 Try the 'hundreds chart games' if you're teaching students to count by tens. Count single, double, and triple digit numbers on this worksheet. S.T.W. 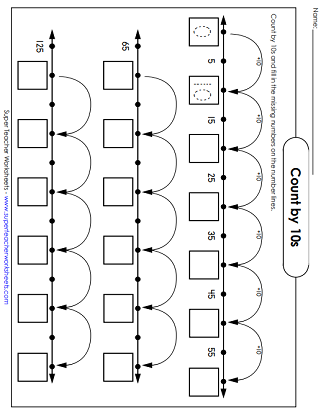 's most basic counting printables can be found on out 'Counting To 20' page.